Being from Kansas City, we always attempt to test out the local barbecue at least once. Now we are far from being BBQ experts, but we do know what we like. Since we were staying on the Delmar Loop, a visit to Salt + Smoke seemed to be the perfect spot to do some research. 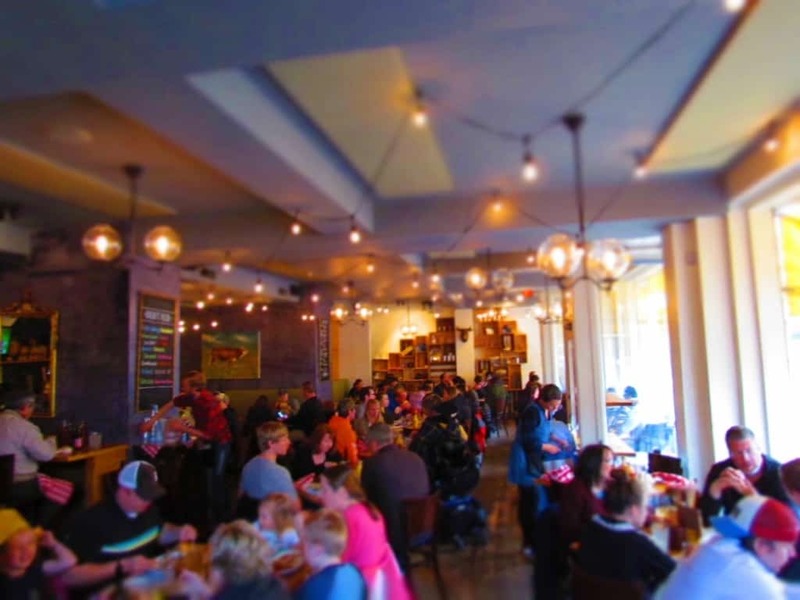 We had done a little surveying of some St. Louis foodie groups and as expected had received a myriad of suggestions. Just like what we find in Kansas City, it seems like everyone has their own reasons for liking one place over the other. Our final decision was based on proximity to the other places we would be visiting that day, and since we were mostly in Forest park, this spot was our choice. 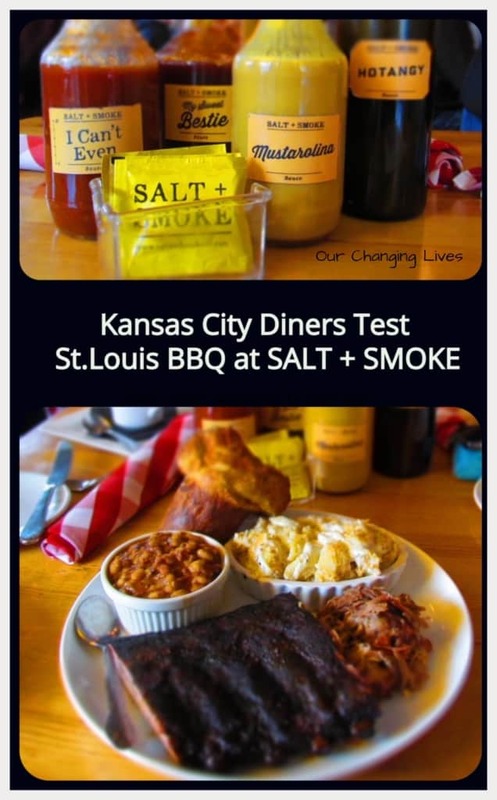 We want to thank the Salt and Smoke and Explore St. Louis for their hospitality. Rest assured that all opinions are our own. A common theme of the restaurants on the Loop would be that they all seem to have a good draw. While some are busier than others, everywhere we went we still found bustling business. While some may not like this, we actually enjoy the opportunity to people watch while we dine. When we first entered the space, we found ourselves near the bar area. 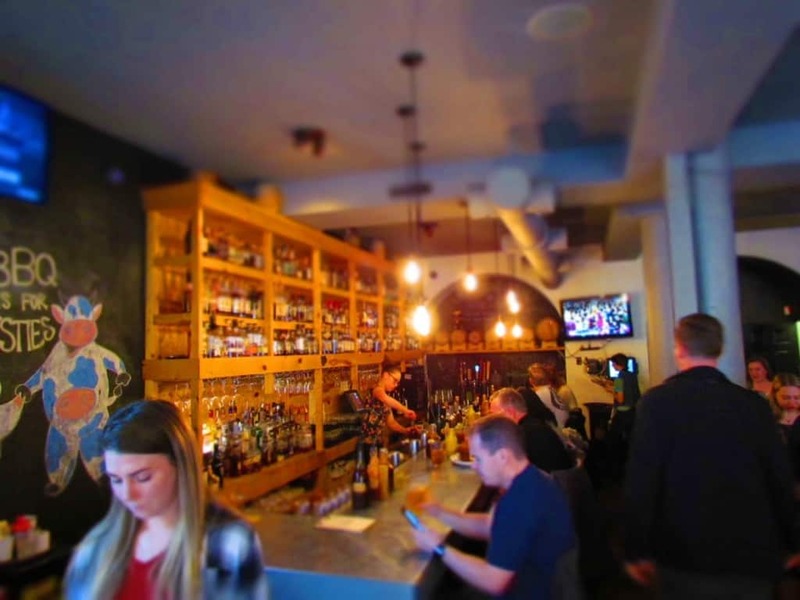 In various cities we are beginning to find more spots that focus on whiskeys. We aren’t sure if this is a new generational thing, but it applies to a wide range of cuisines. 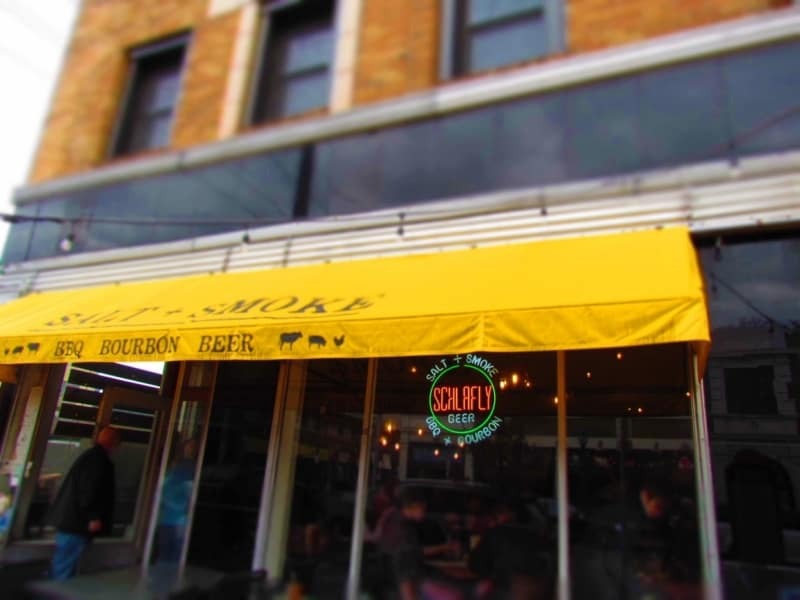 At Salt +Smoke, they have a substantial menu of rye, bourbon, malt and corn whiskeys to choose from. We passed on these, but noticed quite a few testing out that menu. Even though the place was fairly crowded, it only took a few minutes before we were seated. With a table near the window, we had perfect viewing of the indoors and outside. A steady stream of shoppers passed along the sidewalk just outside our window. Inside the lively chatter created a fun atmosphere that was fed by the delightful aroma of the smoked meats we were eager to sample. Our server arrived, and we discussed the menu. After walking us through the choices, and even telling us her favorites, we finally came to an agreement and placed our order. Now we just had to wait for our dishes, while we sat and watched others eating. To help keep my mind off of the delicious aromas, I decided to capture a few photos of the place, as well as this interesting tablescape. There was just something about the shapes and colors that made this pic one of my favorites. 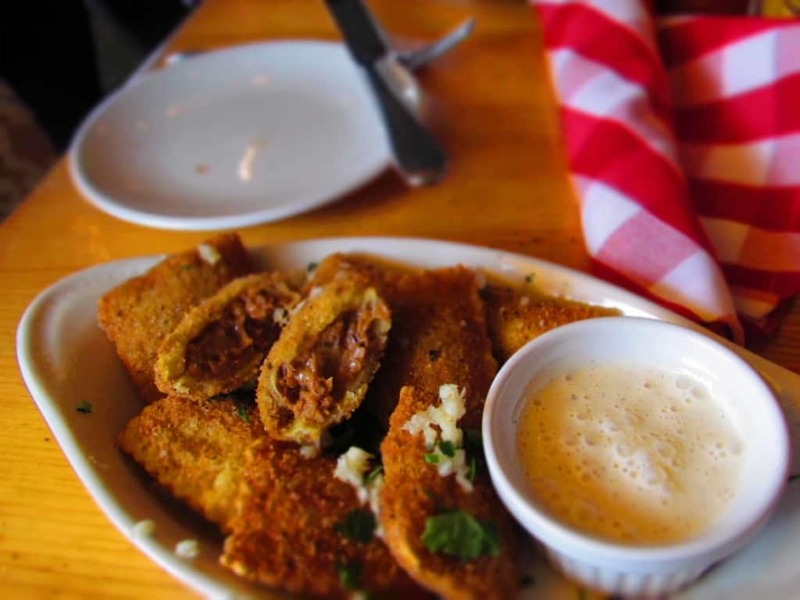 Every restaurant we visited in St. Louis seemed to have their own spin on toasted ravioli. This appetizer staple has a slightly mysterious beginning, even though we heard a couple of logical explanations. However they were discovered, they have now become a must-try when visiting the Gateway City. 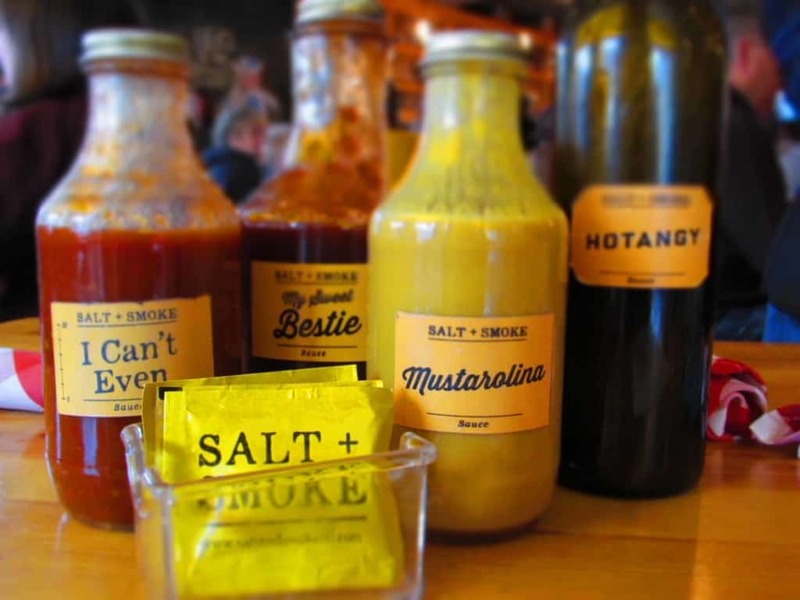 At Salt +Smoke, theirs are stuffed with shredded burnt ends. A tangy dipping cheese sauce is a perfect compliment to this appetizer dish. The unique flavor combination meant that these tasty bites were added to the endangered list and quickly disappeared. In short order our main attraction arrived. The menu calls out a Bestie Combo, which can be ordered with two, three or four meats. We are slowly learning our limits, so we went with the two meat choice. The platter includes two sides and one of their signature popovers. Our meat choices were ribs and pulled pork. The ribs had a delicious crust and a perfect smoke ring. The pulled pork was tender and juicy, so no extra sauce was required. (This is how we rate good BBQ.) The choice of sides was difficult, since so many sounded good. Our server helped guide our choice and we ended up with the Pit Beans with Smoked Bacon and the White Cheddar Cracker Mac. The beans had a wonderful smoky richness that kept us coming back. The mac and cheese is made with a slightly sharp white cheddar (nice tang) and the addition of crumbled Ritz crackers. This was one of those sides that catches you off guard and you end up sparring over who gets the last bite. The popover was another added bonus that offers a slight bacony-cheese flavor in an airy, eggy treat. 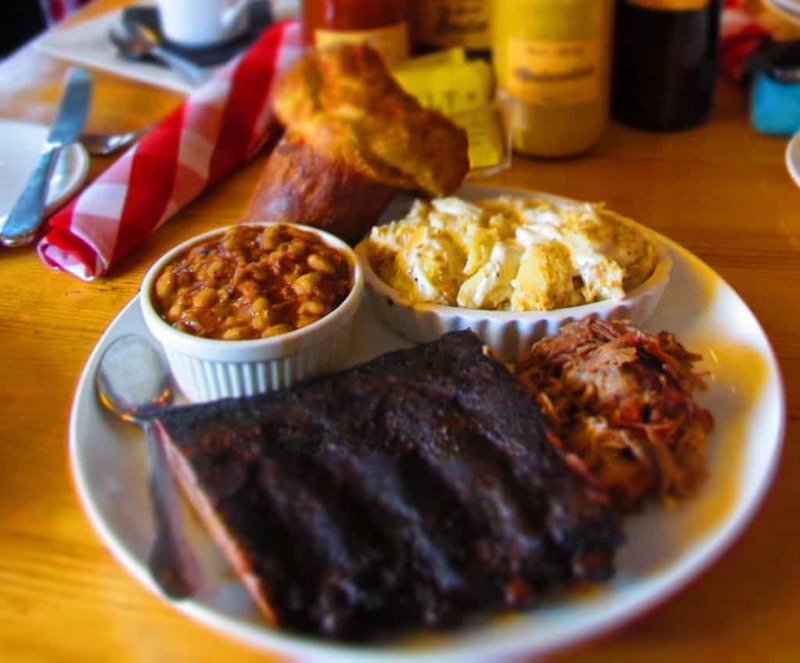 The meal was a perfect fit for two and we left the restaurant assured that barbecue is alive and well in St. Louis, Missouri. What are some of your favorite BBQ joints in St. Louis? Share yours in the comments section, so we can add them to our next visit! Getting hungry? Share this with a friend to make them hungry also! I think the brisket at S&S is the best meat they have, so go back again! Sounds like a plan. Hoping to make a return in the fall.